We investigated changes in sonication (or buzz-pollination) behavior of Bombus impatiens bumblebees, after consumption of the neonicotinoid pesticide, imidacloprid. We measured sonication frequency, sonication length, and flight (wing beat) frequency of marked bees collecting pollen from Solanum lycopsersicum (tomato), and then randomly assigned bees to consume 0, 0.0515, 0.515, or 5.15 ng of imidacloprid. We recorded the number of bees in each treatment group that resumed sonication behavior after consuming imidacloprid, and re-measured sonication and flight behavior for these bees. We did not find evidence that consuming 0.0515 ng imidacloprid affected the sonication length, sonication frequency, or flight frequency for bees that sonicated after consuming imidacloprid; we were unable to test changes in these variables for bees that consumed 0.515 or 5.15 ng because we did not observe enough of these bees sonicating after treatment. 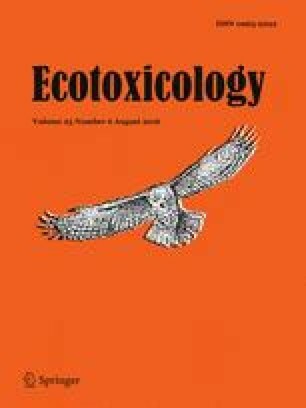 We performed Cox proportional hazard regression to determine whether consuming imidacloprid affected the probability of engaging in further sonication behavior on S. lycopersicum and found that bumblebees who consumed 0.515 or 5.15 ng of imidacloprid were significantly less likely to sonicate after treatment than bees who consumed no imidacloprid. At the end of the experiment, we classified bees as dead or alive; our data suggest a trend of increasing mortality with higher doses of imidacloprid. Our results show that even modest doses of imidacloprid can significantly affect the likelihood of bumblebees engaging in sonication, a behavior critical for the pollination of a variety of crops and other plants. We thank Justin Dower for assistance in data collection for preliminary trials of this experiment. C.S. was supported through the National Defense Science & Engineering Graduate Fellowship (NDSEG) Program, 32 CFR 168a. This project was funded by the National Science Foundation (CAREER IOS-1253677) to S.C.
We have also included all sources of funding in the acknowledgments. The manuscript has not been submitted to other journal simultaneously. It has not been published previously. The study has not been split into several parts to increase the quantity of submissions. The data have not been fabricated or manipulated. No theories or text are plagiarized, though the methods section is very similar to the methods presented in another submitted manuscript of ours. All authors have given consent to submit the article, and all authors have contributed significantly to the manuscript.